Nothing says personalised like your very own Name Necklace! 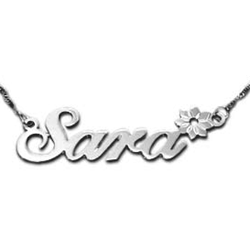 Feel beautiful with a personalised sterling silver necklace made especially for you! An attractive script font finished with a sterling silver flower.